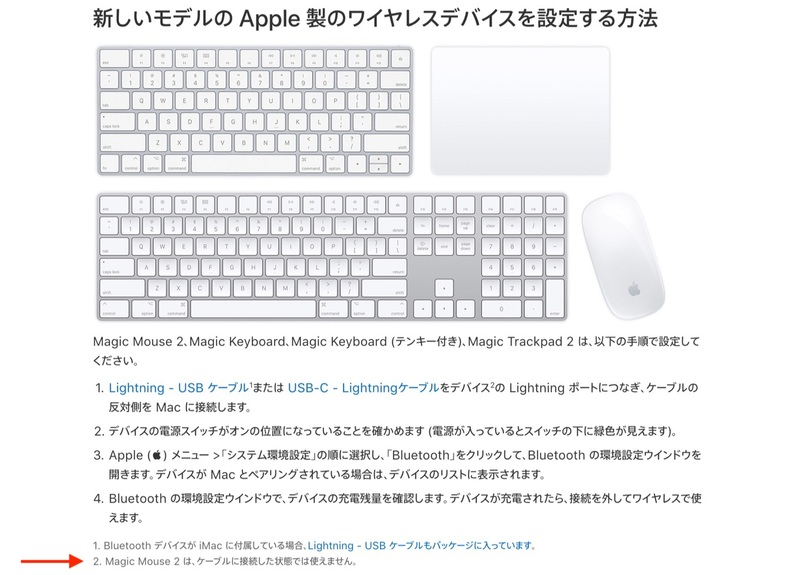 新しい「Magic Trackpad 2」はBluetooth 4.0をサポートしていない古いMacでも、Lightningケーブルで接続し利用できる「Wired Mode」が搭載されている？ | AAPL Ch. 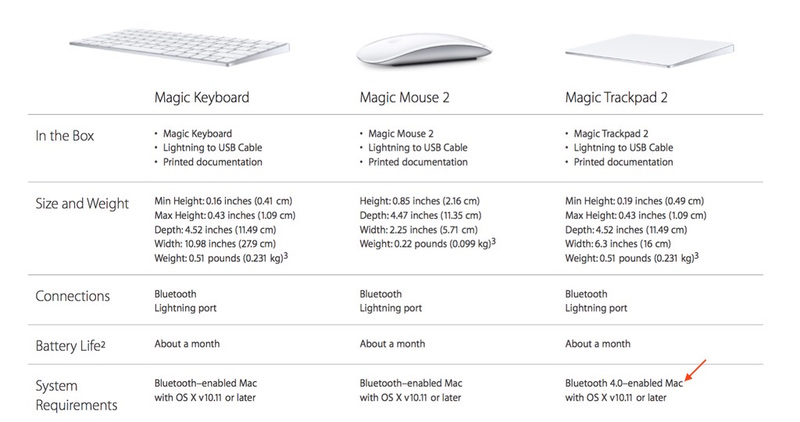 Update: The Magic Trackpad 2 requires Bluetooth 4, so older devices may be incompatible. But! If you plug a Magic Trackpad 2 into a Mac via the included Lightning-to-USB cable, it works even if Bluetooth is off. I can’t confirm that it’ll work on older Macs via wired mode, but it might. @mikhailt @casuallynorm It’s unclear if you can use the Magic Trackpad 2 with a Mac that doesn’t support BT 4, even via cable.